Microcar Monday: Chrysler + Fiat = Ford Ka to the U.S.? Here's a six degrees of automotive separation scenario that just might happen. 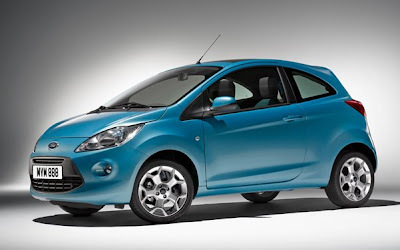 The Ford Ka, as seen above, is Ford's smallest vehicle, and is very popular in Europe. The Ka's platform was co-designed with Fiat, and it has the same underpinnings as the funky little Fiat 500, which is coming to the U.S. as part of the deal with Chrysler. So, in theory, it's possible that the Ka could sell here in the U.S. The Detroit Free Press has a nice little article about the situation. Take a look. Ford minicar could reach U.S.